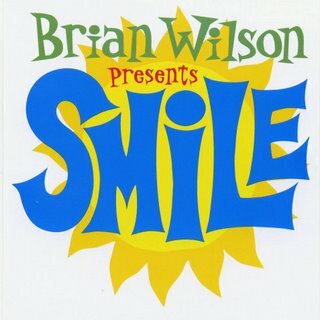 While not a book, Brian Wilson's Smile (2004) is a masterwork in creativity and dedication. Originally started in 1965 as the Beach Boys' answer to the Beatles Rubber Soul, the "pocket symphony" would end up taking over 30 years to complete (one hit from it was released in the 1960s: Good Vibrations). Wilson set out to make one of the greatest pop records of all time, and though it nearly killed him, he succeeded. Smile is a hallmark of magnificent creative work set within constraints that actually set Wilson free. Grab this CD for the pure creative inspiration of it. From British music Magazine NME: "Comparing 'Smile' to pop music is like comparing the poster paint daubings of an infant to the vast canvasses of Velasquez. 'Smile' stands up with any of the great music of the 20th century. In its interweaved and repeated melodic strands it exhoes Prokofiev's 'Kije Suite'. In its appropriation of American folk it stands up with the work of Gershwin and Copeland. In its sheer contemplative beauty it rubs shoulders with Miles Davis' 'Kind Of Blue'. " Englishman Tony Buzan is the world record holder for the highest "creativity IQ." One of his most useful tools is the development of the Mind Map , a visual, doodle-like approach to taking notes (he calls it "radial thinking"). By engaging multiple senses in the act of the creation of these mind maps, plus linking ideas together in a very visual and intuitive fashion, you can create notes that both help to cement concepts in your memory and provide great long-term reference material. Malcolm Gladwell's second book is an exploration of how our mind can make decisions in a fraction of a second. These complex decisions have a deep evolutionary root, and st times, split-second decisions can be amazingly accurate, while at other times a dismal failure. This is a great exploration of the idea of "instant creativity." 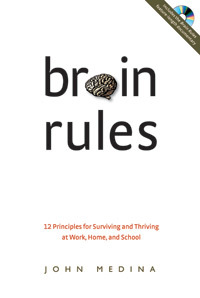 Author Medina presents readers with a basket containing an even dozen good principles on how the brain works and how we can use them to our benefit at home and work. The author says our visual sense trumps all other senses, so pump up those PowerPoint presentations with graphics. The author says that we don't sleep to give our brain a rest—studies show our neurons firing furiously away while the rest of the body is catching a few z's. 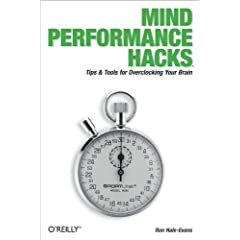 Mind Performance Hacks provides real-life tips and tools for overclocking your brain and becoming a better thinker. In the increasingly frenetic pace of today's information economy, managing your life requires hacking your brain. 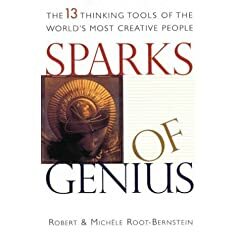 Operating on the arguable assumption that creative thinking is essentially pre-verbal, intuitive and emotional, the Root-Bernsteins outline 13 "tools" that help translate spontaneous imaginative experiences into specific media, such as painting, music, scientific experiments and poetry. Among the techniques they identify and describe are "imaging," "abstracting," "body thinking" and "empathizing." Over the years, A Whack on the Side of the Head has been praised by business people, educators, scientists, homemakers, artists, youth leaders, and many more. The book has been stimulating creativity in millions of readers, translated into eighteen languages, and used in seminars around the world. Drawing on the Right Side of the Brain is the world's most widely used drawing-instruction guide. People from just about every walk of life--artists, students, corporate executives, architects, real estate agents, designers, engineers--have applied its revolutionary approach to problem solving. The Los Angeles Times said it best: Drawing on the Right Side of the Brain is "not only a book about drawing, it is a book about living. This brilliant approach to the teaching of drawing . . . should not be dismissed as a mere text. It emancipates." Mental Floss is a magazine and companion website that provides great fodder for creative thinking, from strange knowledge to challenging quizzes.